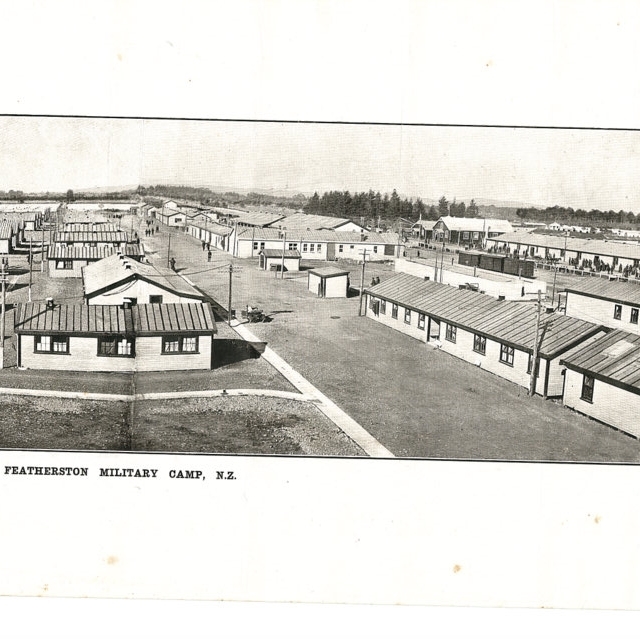 Featherston Military Camp Panorama, c 1914-1918. 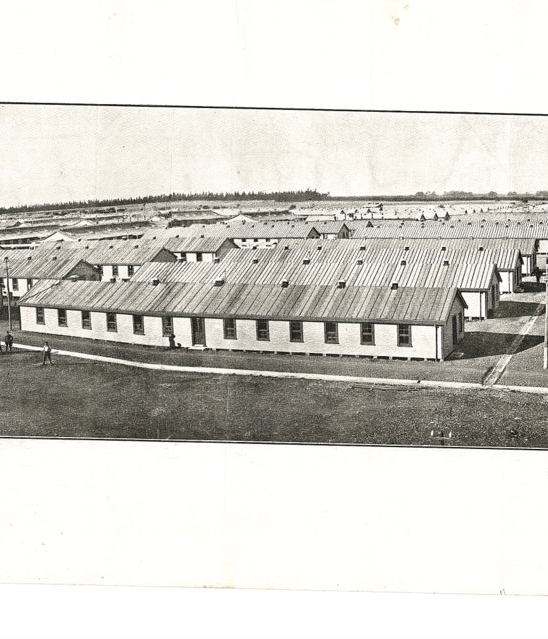 This Varley Brothers panorama of Featherston Camp (taken 1914-1918) came from the a source at Linton Military Camp, who kindly donated a digital copy. 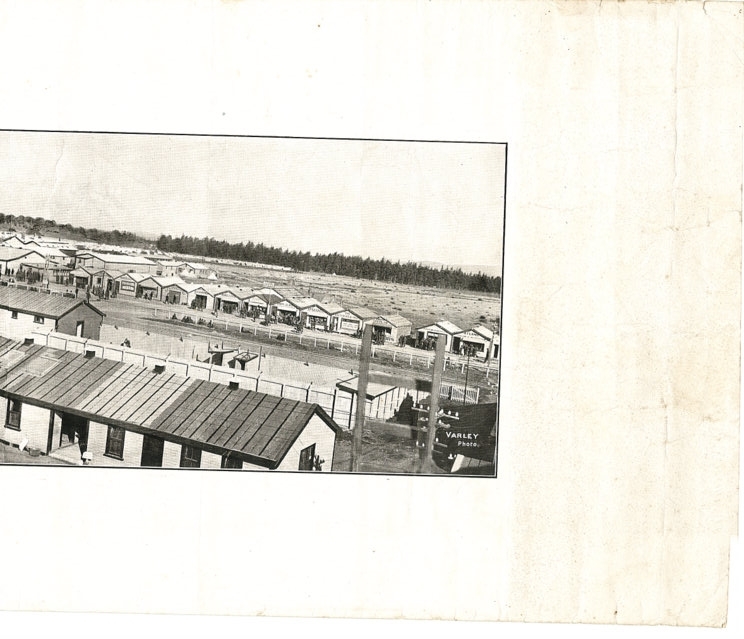 It shows barracks spanning across the picture, as well as soldiers lined in front of shops on the right hand side. See us on the 2nd Floor of the Central Library to view a larger copy (below is a item cut into segments for better viewing). 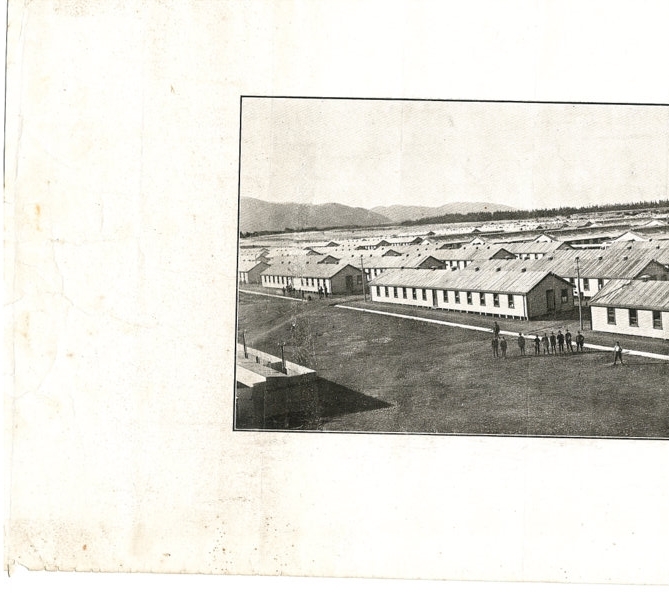 Beneath image: Featherston Military Camp, N.Z. bottom right: Varley Photo.